Since 1904 and throughout its history, Ss. Cyril and Methodius parish has undergone many transitions and continues to grow. Throughout its history, Ss. Cyril and Methodius parish has undergone many transitions. The changes that have taken place are not only reflected in the change of the patronal title of the parish, but also in the physical plant, parish life and parish activities. Originally located on Agnes Street in 1904, the parish was predominantly a national parish for those of German descent. The church was named St. Boniface. Father F.J. Goebbels, a zealous missionary in this area, was the pastor, and with the generous farmers of the parish, built the first church. The church was blessed and dedicated by Reverend Charles Jaillet, delegated by the Most Rev. Bishop Peter Verdauguer, on January 26, 1908. Father Goebbels did all in his power to minister also to the spiritual needs of the Czech community also. The first couple of Czech ancestry to be united in marriage by Father Goebbels was John Janosek and Angela Brandesky. died in the fire. Father Joseph Klobouk came to Corpus Christi from El Campo, Texas, in 1913 and was placed in charge of St. Boniface until August 6, 1918. While he was pastor, Father Klobouk built a parish hall with his own money. This hall was used as a school for one year with grades 1 to 6, but the hall was destroyed in the 1919 hurricane. From 1923 to 1929, several priests were assigned to St. Boniface; Father J. Kuratko, Father Netardus, Father Francis Cerny, Father John A. Walsh, Father Henry Richard and Father Joseph Lebey. In 1930, the Reverend Francis J. Kasper was appointed pastor of St. Boniface Church. The name was changed in 1939 to Ss. Cyril and Methodius Church. Father Kasper took over during the heart of the depression. The Most Reverend E.B. Ledvina, D.D., Bishop of the Diocese of Corpus Christi, turned the first spade of soil in ceremonies launching constructio n of the new Ss. Cyril and Methodius Church at Lexington Boulevard and Kostoryz Road on May 20, 1947. Through the efforts of the little Czech farming community in the area, the new church, which is still being used, was erected at a cost of $99,000.00 unfurnished. The church wad dedicated on Sunday, April 11, 1948, by Bishop Garriga. The $4,000 marble altar was donated by the late Mr. Jim Dougherty. The total cost of the church, furnishings, paving, etc., was $137,000.00. The rectory was built at a cost of $18,900.00. After the church was completed, Monsignor Kasper saw the necessity for a Catholic school. Due to his tireless efforts during the next six years, the existing school was built in 1953. The school was originally staffed by four Sisters of the Holy Spirit and Mary Immaculate from San Antonio and three lay teachers. 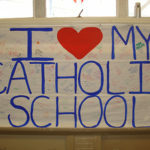 The response of the parishioners to Catholic education warranted continued expansion of the school to its present eight classrooms. The C.C.D./Religious Education Program was organized in 1957 under Fathers William Kelly and John Killeen. 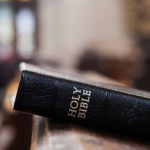 The religious education program has met the needs of the people and has grown both in scope and numbers throughout the history of the parish. The parishioners of Ss. Cyril and Methodius will always be indebted to the leadership of Monsignor Francis Kasper, who served as pastor from 1930 to 1968. It was during these years that the total physical plants, valued at today’s prices over a million dollars, was built and left clear of debt. Another transition occurred as Monsignor Kasper retired as pastor in 1968, and Monsignor Englebert Bartosch was appointed pastor of the parish. It was during this time, in keeping with the implementation of the guidelines of the Second Vatican Council, that a Parish council was established to assist in the operation of the parish. A school advisory board was also formed to assist in the responsibility of the operation and maintenance of the school. In September, 1970, the Reverend Patrick Higgins was appointed pastor of the parish. He placed great emphasis on the development and spiritual renewal of the laity, and began the implementation of the “spirit” of the Second Vatican Council in the parish. The late Monsignor Higgins undertook the task of reconstruction of the parish plant that had received devastating damage during Hurricane Celia in August, 1970. The church was repaired and renovated, as was the rectory, the convent, and the school for a total cost of $161,000.00. In July, 1981, the Reverend John Killeen was assigned as pastor of Ss. Cyril and Methodius Church. Monsignor Patrick Higgins was transferred to be pastor of St. Patrick Church in Corpus Christi. During the two years that he was pastor, Father Killeen initiated the plans for enlarging and renovating the original church. Father Killeen was transferred to St. Joseph Church in Beeville. Reverend Aidan Leddy came to Ss. Cyril and Methodius Church as pastor in July 1983. In 1984, a grant of $725,000.00 was received from the Kenedy Foundation which would enable the parish to proceed with the needed expansion and remodeling. A new parish hall and rectory with parish offices was completed in 1986. Plans to acquire more parking spaces were also completed and an additional lot on Hakel Street was purchased for the project. The Reverend Michael Lenihan became pastor of Ss. Cyril and Methodius Parish in January, 1987. Father Lenihan continued forward with the plans for the church expansion. He established a parish building committee and with their input finalized the plans for the expansion. With the leadership of Father Lenihan, the church expansion was completed in over a year. The Blessed Sacrament was transferred from the temporary church which had been in Monsignor Kasper Hall to the remodeled church on Saturday, March 18, 1989. In March, 1991, the Reverend Monsignor Lawrence E. White became the pastor. It has been during his administration that the church was renovated and the sanctuary was enlarged so that the Blessed Sacrament could be relocated in the center. A large covered porch was added to the front of the church and a concrete parking lot was added. The parish community continues to grow especially since the parish began the ACTS Retreats in 2006. Monsignor White has placed great emphasis on building a vibrant parish community. 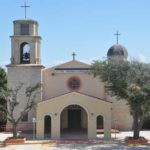 Currently, the parish is a multiethnic parish and serves more than 3000 families from Ayers, Gollihar, Everhart, and Holly, area. As well as the numerous families registered in the parish who live outside its boundaries. The parish has an active Works of Mercy that feeds and clothes the homeless, and helps families in need. There are approximately 450 public school children kindergarten thru middle school enrolled in the parish Religious Education program. The Life Teen Program, which is centered around the Eucharist, guides about 60 high school teens weekly in their struggles to live the Catholic faith as teens. Ss. Cyril and Methodius Parish has an active RCIA program to help adults wishing to be in full communion with the Catholic Church. The parish also has a very active group of Guadalupanas, Catholic Daughters, Knights of Columbus and Altar Society. The parish school has 130 students enrolled from grades K-3 (three year olds) through 5thgrade. When a student graduates from our parish school, he/she has received an excellent academic and spiritual foundation on which he/she can build. The majority of graduates find themselves in thehonor classes in the public schools. In the last several years, the parish has grown dramatically. Since each of our Sunday liturgies caters to a different group (older parishioners, children, bi-lingual and teens), more people are participating in Mass. While the number of families registered in our parish remains strong, more parishioners are learning about their faith and are becoming involved in a ministry at our parish.